About us - Zapraszamy na Kaszuby! 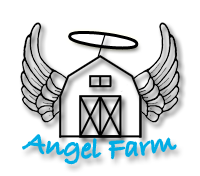 ANGELFARM is located in the Kashubian area, in the village of Borowina, 4 km from Przywidz, 35km from Gdansk. The farm is situated next to a forest and surrounded by green meadow. We provide accommodation, meals and the opportunity to spend quality time away from the hustle and bustle of the city. Guests can enjoy a rest close to nature and enjoy the farm animals. In addition to the domestic animals on the farm, you can have the opportunity to see wild animals such as storks, cranes, herons, crows, wild boars, deer, foxes and hares. Nearby are two large lakes. We have 4 fully equipped rooms with bathrooms and balconies, and a studio with 2 rooms, shared bathroom and kitchen. Common Room with fireplace, large dining area, flat screen T.V, free Wi-Fi and a sunny terrace for relaxation. In the garden there is a large orchard, playground for children, a petting zoo, large bonfire area, plus an outdoor barbeque and open fire place . We offer free parking. There is the possibility for camping tents.